We are currently updating our Sunglass inventory. Oakley, Ray Ban, Serengeti, Bolle, and Costa Del Mar have been updated and are available to purchase. Please check back soon for deals on all other major brand sunglasses. At Express Sunglasses, you can buy your mail order discount sunglasses online from an authorized dealer-colored, polarized, prescription, UV blocking, sport, and designer lenses are available at discount prices. We have detailed articles about buying online eye glasses and prescription cycling glasses by Dr. Michael Lange, optometrist in Ocala, FL. Buy designer sunglasses online: Ray-Ban sun glasses, Oakley, Costa Del Mar and Serengeti major brand sunglasses at lowest price anywhere. Buy the best men's designer sunglasses, sunglasses for women, kids sunglasses, cheap sun glasses and the lowest price designer sunglasses. Buy top designer sunglasses online with free designer style sunglasses at ExpressSunglasses. 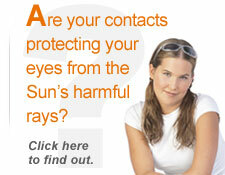 Sunglasses and Contact Lens Wear article written by Board Certified Optometric Physician Dr. Michael P. Lange about how to protect your eyes from the Sun's damaging UV rays while wearing contact lenses. Sunglasses for Mountain Biking article written by Board Certified Optometric Physician Dr. Michael P. Lange about the importance of wearing sunglasses when Mountain Biking and Cycling. 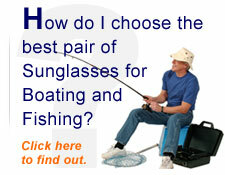 Fishing And Boating Sunglasses article written by Board Certified Optometric Physician Dr. Michael P. Lange about the importance of sunglasses for Fishing and Boating. Macular Degeneration - Nutritional and Lifestyle Modifications article written by Board Certified Optometric Physician Dr. Michael P. Lange about how nutritional intervention and lifestyle modifications may help Macular Degeneration. Dr. Michael Lange, Ocala optometrist describes his involvement in research on nutrition and UV protection. Dr Michael Lange, Ocala optometrist (eye doctor} with locations in Ocala, Gainesville, West Ocala, Williston, Inverness, Summerfield, The Villages and Clearwater. Read about Dr Michael Lange, Ocala optometrist with Lange Eye Care and Associates on nutrition, eye vitamins and UV protection. Dr. Michael Lange optometrist on Buying Online Sunglasses Learn what you should know about buying prescription glasses online from an online eye glasses company. Rather than buying cheap eye glasses online see an optician at a local optical such as Lange Eye Care in Gainesville, Ocala, Tampa, Clearwater, The Villages, Summerfield and Citrus Hills. Dr. Michael Lange optometrist on Prescription Cycling Glasses Read about buying prescription cycling glasses in this article by Dr Michael Lange, optometrist with Lange Eye Care in Ocala, Gainesville, Clearwater, The Villages, Tampa, Citrus Hills and Summerfield. He recommends impact resistant sunglasses for mountain bike and free form, back surface, brown lens, tinted yellow, super high contrast sunglasses. 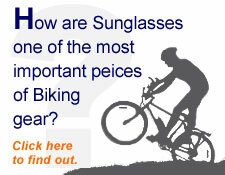 Dr. Lange writes about buying sunglasses online and getting a pair of prescription cycling glasses or prescription glasses.